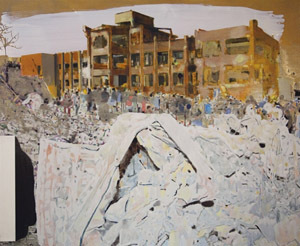 Biography/General: Peter Westwood is an artist, curator and arts writer. Peter completed his undergraduate study, a Diploma of Fine Art at Federation University. His postgraduate studies include a Graduate Diploma in Fine Art from RMIT University, a Graduate Diploma of Education from the University of Melbourne and a Master of Arts by Research from Monash University. He is currently completing his Doctoral studies. His PhD research topic is titled Agency and the idiom of Painting as a marker of change. 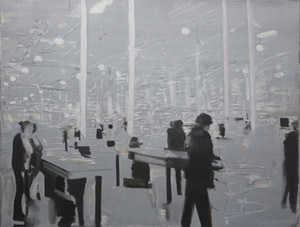 Peter’s painting reveals or describes perpetual change in order to capture or embody the passing nature of experience. 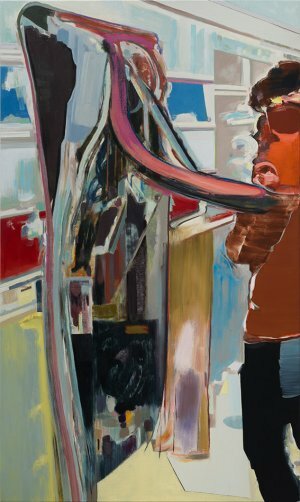 His practice focuses on both the production and installation of painting as a method to present ideas relating to social experience. This focus often reflects on our social experience as forming within an unending passivity, shaped through continuous viewing and consumption. Peter has been included in group, and individual exhibitions in public and commercial galleries in Australia and overseas. He has curated two to three annual exhibition projects for the past 20 years in Australia, and periodically overseas. Peter is a Senior Academic at RMIT University in Melbourne. Arab Emirates, curated by Princess Shiekha Latifa and Dr Irene Barberis. Raphael Buttonshaw, Tyler Clark, Dylan Hammond, Daniel Stojkovich. The School of Art Gallery, RMIT University. Boe-lin Bastian, CJ Conway, Ed McAleice and Sean Crossley, The School of Art Gallery, RMIT University. Can this be a painting? Desire and what you end up doing. Bringing ﬁction into reality: Who are you talking to, me? 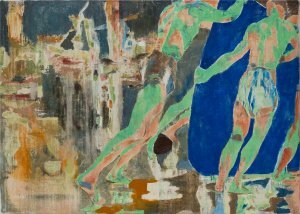 Curatorial advisor and contributing writer to the catalogue essay discussing the work of Lê Quôc Viêt (Vietnam) for the exhibition project The World in Painting, Heide Museum of Modern Art, Melbourne. Curator Zara Stanhope. Regional galleries traveling exhibition. Curatorial project and catalogue essay. 2002 Curatorial residency: Crossing: New Art from Australia, an exhibition of contemporary Australian art, ÄLTO Finland. 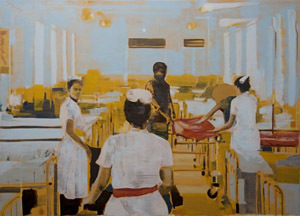 Powles, J., 2015, The Poor Hospital (passage and fate), NKN Gallery, Melbourne, Australia. Accompanying poem Heel by Paul Carter. 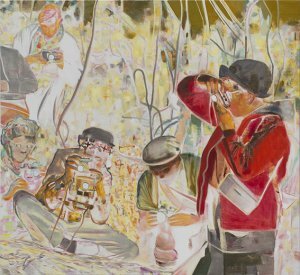 The Shilo Project, McAuliffe, C., The Ian Potter Museum of Art, the University of Melbourne, 2009. Westwood, P., 2017, The colour, the shape, curatorial project involving the work of Georgia Biggs, David Harley, Melinda Harper, Michael Jäger, Antonia Selbach and Isabel Turner at NKN Gallery, Melbourne, Australia. Westwood, P., 2016, Bus Stop, (extended version) essay published in Michael Wegerer – Bouncing Borders (monograph) University of Applied Arts Vienna Press, Birkhäuser Verlag, Vienna / Berlin, Germany. Eric Nash (curator), Townsville Regional Gallery, Townsville, Australia. Westwood, P., 2013, Crowded out. An essay accompanying the work of Matthew Berka for the project My House is too Small, curated by Julia Powles. This project involved an artist residency project supported by Arts Victoria. Artists: Matthew Berka, Jessie Bullivant, Andrew McQualter, Simone Slee, Carolyn Eskdale and CJ Conway. Other writers: Russell Grigg, Carolyn Barnes, Alastair Phillips, Hannah Mathews and Dunja Rmandić, Melbourne, Australia. http://www.myhouseistoosmallproject.com/. Seung for the exhibition On Familiar Things, Lee C Gallery, Seoul Korea. Westwood, P., 2010, The Proposition, catalogue essay discussing the work of Boe-lin Bastian, CJ Conway, Ed McAleice and Sean Crossley, The School of Art Gallery, RMIT University, Melbourne, Australia. 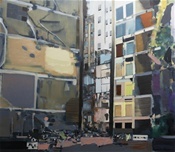 Powles, J., & Westwood, P., 2010, Can this be a painting? Catalogue essay discussing the work of Michael Jäger (Germany), Project Space and Spare Room Gallery, RMIT University, Melbourne, Australia. Westwood, P., 2010, Desire and what you end up doing. Bringing ﬁction into reality: Who are you talking to, me? Catalogue essay discussing the work of Barbara Kapusta (Austria), Project Space and Spare Room Gallery, RMIT University, Melbourne, Australia. Westwood, P., 2010, The moment where you think that that’s all it takes … Catalogue essay discussing the work of Julia Powles for the exhibition Dancing Without Lessons, BLINDSIDE, Melbourne, Australia. Westwood, P., 2010, Representation in the meaning of a metaphor for a forest as endoscopy / links between locations, curatorial project, installation and catalogue text involving the work of Hoang Duong Cam (Vietnam). Project Space and Spare Room Gallery, RMIT University, Melbourne, Australia. Westwood, P., 2010, Like No Place Known, collaborative curatorial exhibition project and catalogue essay with Katarina Frank. Works by Kieran Boland (Australia), Cecilia Darle (Sweden), Gunilla Hansson (Sweden). Patrick Nilsson (Sweden), Jin Shan (PR China) Andreas Soma (Sweden). Project component of the international Drawing Out Conference conducted through RMIT University and the University of Arts London. The School of Art Gallery, RMIT University, Melbourne, Australia. Westwood, P., 2009, The city lost in snow, catalogue essay discussing the work of Katarina Frank (Sweden/UK), Project Space and Spare Room Gallery, RMIT University, Melbourne, Australia. Westwood, P., 2009, Man in the Cold, catalogue essay discussing the work of Godwin Bradbeer for the exhibition Portraits in Exile, Ardel Gallery of Modern Art, Bangkok, Thailand. Westwood, P., 2008, Things that remain, curatorial project, installation and catalogue text. Works by Steve Cox, Jess Crowe, Julia Powles, Greg Pryor and Leonie Zylberberg, Jenny Port Gallery, Melbourne, Australia. 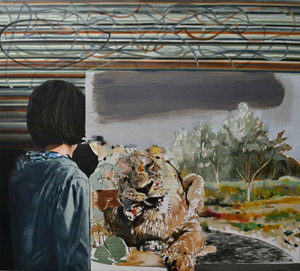 Westwood, P., 2008, The World in Painting, curatorial advisor and contributing writer to the catalogue essay discussing the work of Lê Quôc Viêt (Vietnam) for the exhibition project The World in Painting, (ed) Zara Stanhope, Heide Museum of Modern Art, Melbourne, Australia. Regional galleries traveling exhibition. Westwood, P., 2007, An obvious problem, catalogue essay discussing the work of Jan Svenungsson (Sweden) and Katrin von Maltzahn (German) for the dual exhibition project A Place on Earth & Tracking and Jorge Luis Borges visited Melbourne for 10 days; School of Art Gallery. RMIT University, Melbourne, Australia. Westwood, P., 2006, The brain hand thing, catalogue essay discussing the work of David Palliser for the exhibition Imagine…the creativity shaping our culture, (ed.) Zara Stanhope, Heide Museum of Modern Art, Melbourne, Australia. Westwood, P., 2005, One another’s otherworld, Curatorial project installation and catalogue text, at the invitation of the French Cultural Centre, Melbourne. Featuring the works of Laetitia Bourget (France), Philippe Charles (France), Steve Cox, Sanné Mestrom, Dominic Redfern, Philip Samartzis, Ania Walwicz and Louiseann Zahra. Alliance Française de Melbourne (French Cultural Centre / Alliance Francaise), Melbourne, Australia. 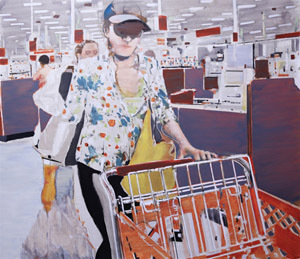 Westwood, P., 2005, Various Presence: the human spaces in new technology. Curatorial project, installation and catalogue text, Shanghai International Science and Art Exposition, China, 2005. Featuring the works of Mark Burry, Martine Corompt, Ho Sui Kee, Nicole Jaquard, Lyndall Jones, Dominic Redfern, Philip Samartzis, Daniel Von Sturmer, Christian Bumbarra Thompson, Jason Wade, Yandell Walton, Melbourne, Australia. Westwood, P., 2004, Siblings. Two concurrent curatorial projects with accompanying catalogue text titled Similarities and differences. Featuring the work of Loretta Quinn and Paul Quinn, Fiona Mc Monagle, and Tim McMonagle, Project Space and Spare Room Gallery, RMIT University, Melbourne, Australia. Westwood, P., 2004, Beyond horizons / Horisonttien takana, curatorial project, and catalogue essay referring to the work of environmental artist Markku Hakuri (Finland). Faculty Gallery, RMIT University, Melbourne, Australia. Westwood, P., 2004, The Drawing Room, curatorial project and catalogue essay, titled Insideout, accompanying an installation work by John Kelly. Project Space and Spare Room, RMIT University, Melbourne, Australia. Westwood, P., 2003, Benjamin Armstrong and Katherine Huang, curatorial project and exhibition text (text drawing / poster). Works by Benjamin Armstrong and Katherine Huang. Project Space and Spare Room, RMIT University, Melbourne, Australia. Westwood, P., 2002, Crossing: New Art from Australia, curatorial project with catalogue essay. 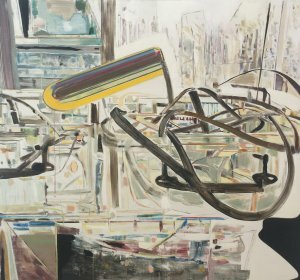 Works by Adam Bunny, Linda Erceg, Fiona Foley, Peter Graham, Katherine Huang, Dianne Jones, Tim McMonagle, Vera Möller, David Noonan and Simon Trevaks, and Christian Bumbarra Thompson. Lume Gallery, UIAH (University of Art and Design), Helsinki, Finland. 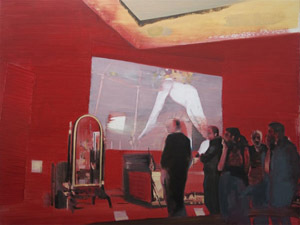 Westwood, P., 2002, David Potter, curatorial project (posthumous exhibition) and catalogue essay, Project Space and Spare Room, RMIT University, Melbourne, Australia. Westwood, P., 2001, Berenice’s Hair /Bereniken Hiukset. Exhibition catalogue with curator Leena Lohiniva. Rovaniemi Museum, Finland and Project Space and Spare Room, RMIT University, Melbourne, Australia. Westwood, P., 2000, Seen something more, curatorial project and catalogue essay. Works by Tim McMonagle and David Palliser. Project Space and Spare Room, RMIT University, Melbourne, Australia. Westwood, P., 1999, rubik 10 – are you experienced, catalogue essay discussing the work of Tim McMonagle. The Physics Room, Christchurch New Zealand. Westwood, P., 1999, The trouble with Harry, curatorial project and catalogue essay. Works by Diena Georgetti and Daniel Noonan. Project Space and Spare Room, RMIT University, Melbourne, Australia.